Do not miss the opportunity to become an OCEAN VIEW land owner in LAGUNA BEACH! 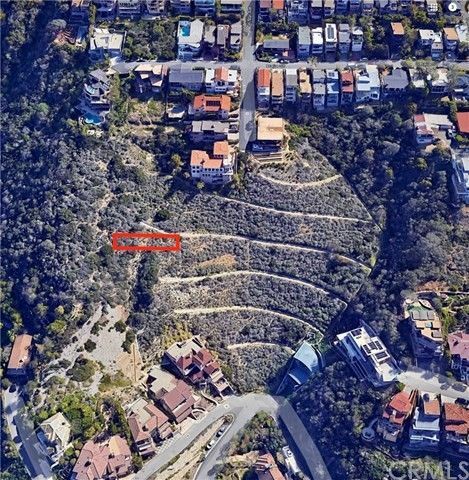 25' x 100' Hillside lot is unbuildable at this time per the City. Great investment hold. Buyer to do own due diligence on land use. Directions: From Coast Hwy take Bluebird Canyon toward hills, right on Summit, right on La Mirada, right on Del Mar, right on Baja to the end. property sits approx. 400 feet off paved street.